Healthcare Strategies Group utilizes the expertise of Dr Iain Miller and his network of specialist service providers and associates to support life science and med-tech strategic initiatives and business development for diverse clients. The core focus area of the group is commercial development of precision medicine. Iain Miller, founder of Healthcare Strategies Group (HSG), is a healthcare strategy and commercial development executive with nearly 25 years of diverse healthcare technology experience gained in a variety of settings and geographies. Iain also sits on the Board of the European Personalized Medicine Association and is a member of the Technology Appraisal Committee of NICE in the UK. Prior to founding HSG in 2013, Iain served with GE Healthcare as Global Head of Personalized Healthcare Strategy & Partnerships. Previously, at bioMerieux, Iain was responsible for oncology strategy and also led strategy and business development for the Personalized Medicine Business Unit. Prior to GE Healthcare and Biomerieux, Iain held leadership roles in two venture-backed genomics companies (Pathogenetix, formerly US Genomics, a single molecule sequencing platform company and Variagenics, a pharmacogenomics CRO). Iain also held a technology transfer executive role at Massachusetts General Hospital in Boston and was founder of Derma-Lase, which was later acquired by Candela/Syneron. In addition to the foregoing companies and institutions, Dr. Miller has consulted for companies including Myriad Genetics, Philips Healthcare, J&J, Abbott Diagnostics and Oxford Immunotec. Throughout his career, Iain has focused on commercial development within the diagnostics, and device sectors. He is a recognized international thought leader in the high-growth personalized medicine marketplace with an active role in several global policy market access initiatives and history of successful execution of transactions supporting enhanced drug development and commercialization. He has a strong track record of operational management and multi-functional responsibility including strategy, business development, regulatory affairs management, product development and R&D portfolio management, together with a history of entrepreneurial success. His extensive international experience includes 20 years living in the United States. 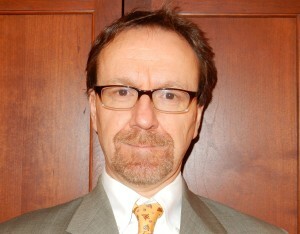 Within the nonprofit healthcare technology field, Iain is a co-founder and active Board member of EPEMED, the European Personalized Medicine Association, sits on the Oxford Bioscience Network Advisory Board, and is co-author of several pending policy white papers on market access for diagnostic products. Within EPEMED, he sat on the oversight committee of the report “Personalised Medicine in Europe: Enhancing Patient Access to Drug-Diagnostic Companion Products”, which published in September 2014. Iain also recently served on the oversight committee of the UK Academy of Medical Sciences Stratified Medicine project, culminating in a 90-page policy paper in July, 2013 “Realising the potential fof stratified medicine”. On a project basis, Dr. Miller partners with international colleagues to provide full service health-economic modelling and market research.